I've gotten a load of estate pipes consisting of old Grabows, Kaywoodies and more and I'm going to be restoring them gradually over the next little while. Some aren't in horrible shape and will be fairly quick jobs but then there are others that will be needing a lot of extra attention but my goal is to average at least one pipe per week, so here it goes! Pipe #1 ... Dr Grabow "Westbrook"
Good work! I dig that shape. Thanks! Yeah it's shape is kinda' unique, I ended up sanding down the rim and re-staining it but I went with mahogany to offer a little more color contrast. The rim was badly charred from what I suspect was a torch lighter, I think there should be public caning for such offenses,... or as Kevin Keith once said "a good lashing with used pipe cleaners". Oh man that looks fantastic! Great job! What a fantastic looking pipe. Kaywoodie "Super Grain" Dublin. Had a missing logo, some oxidation and minor chatter on the stem and there was what looked to be water damage on the bowl along with some minor charring around the rim. A little TLC and this guy is ready to smoke again! Beautiful! Really nice work on the stem logo restore too! I have a fondness for that zulu shape that Kaywoodie does. Thanks Hout! 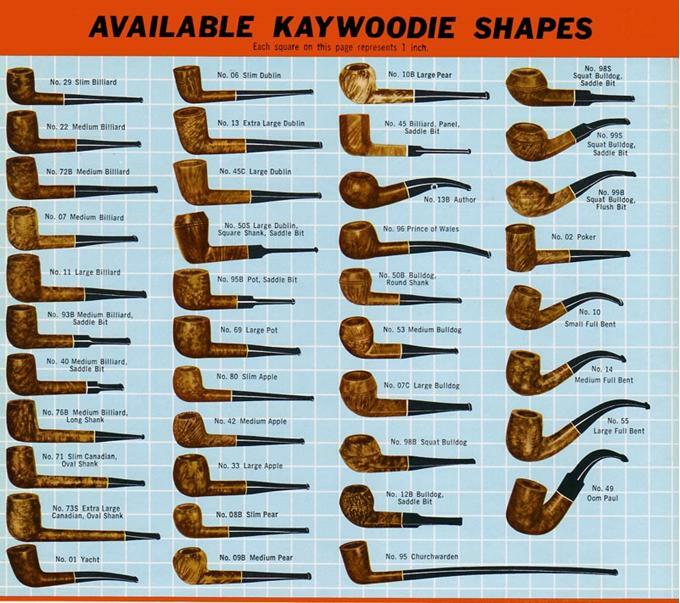 I agree, Kaywoodie was considered an up-scale pipe brand back in the day and they had some really nice shapes. I actually just went back to the Kaywoodie shape chart and it looks like this pipe shape is called "Yacht",... just looks like a bent Dublin to me! LOL!